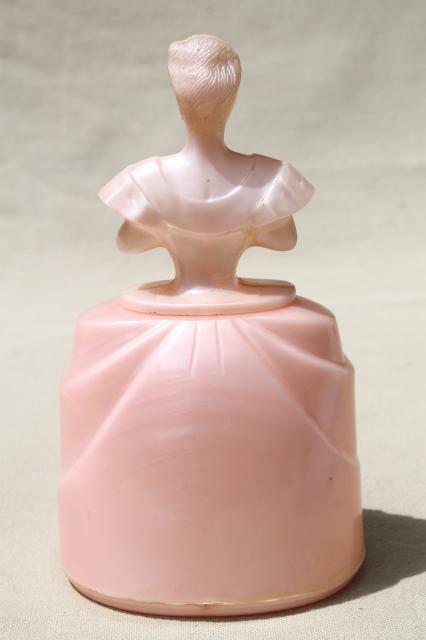 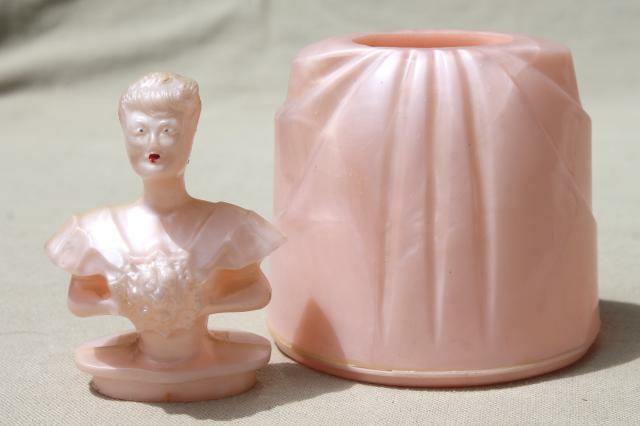 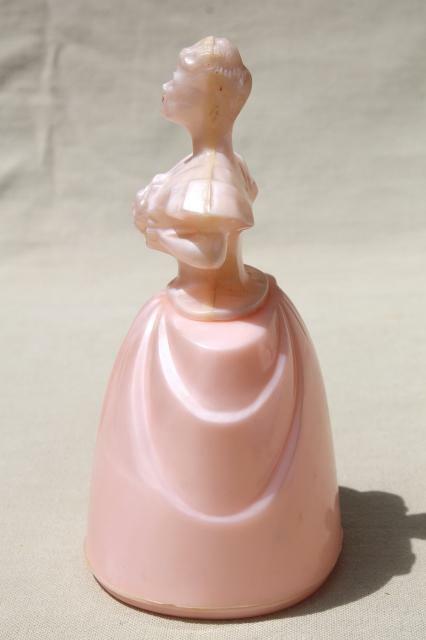 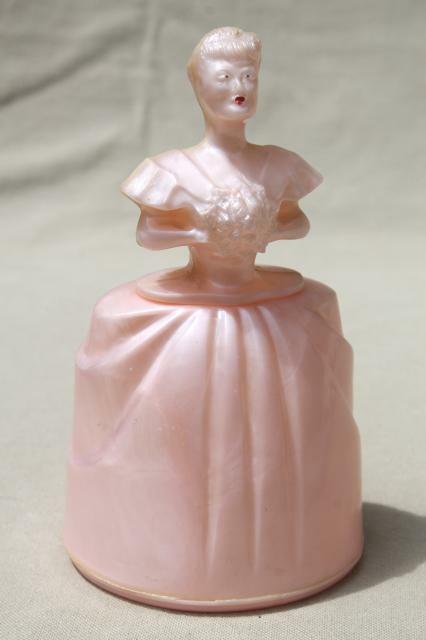 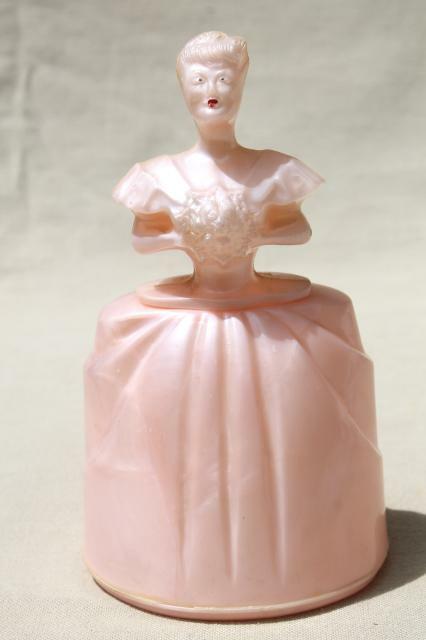 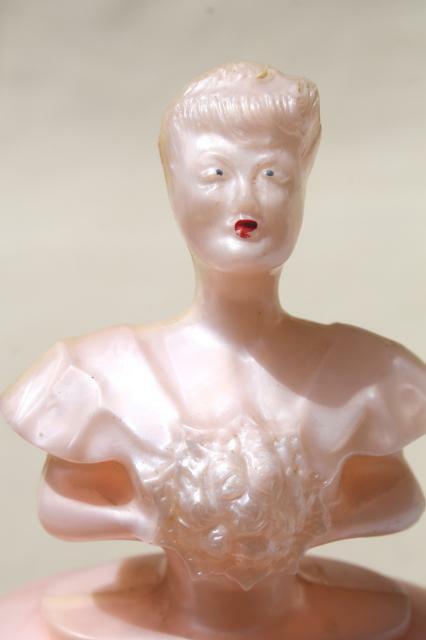 Early plastic two piece 'doll' box, a powder box or to hold something else on a vanity table? 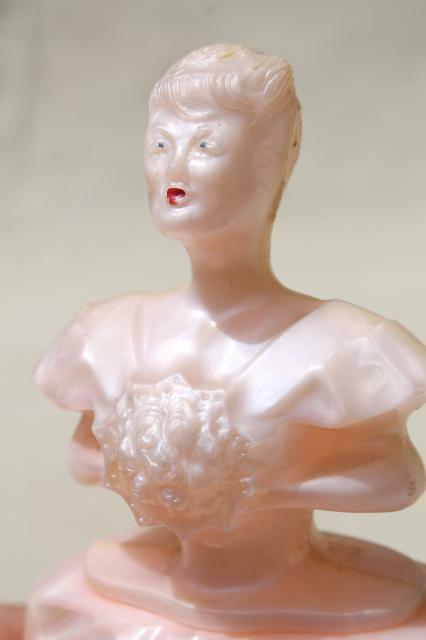 She's about 6" tall, comes apart at the waist. 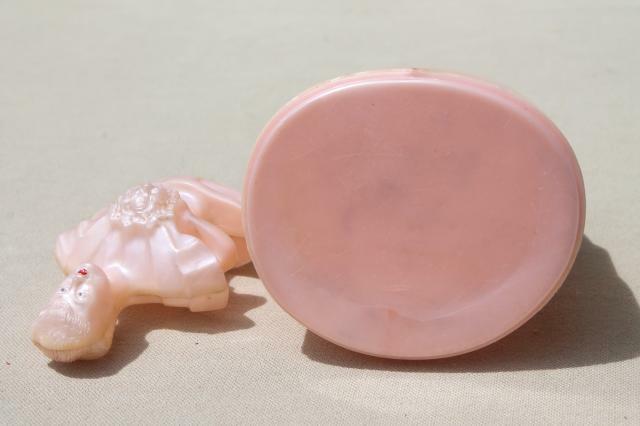 This doesn't appear to be marked at all that we could see. 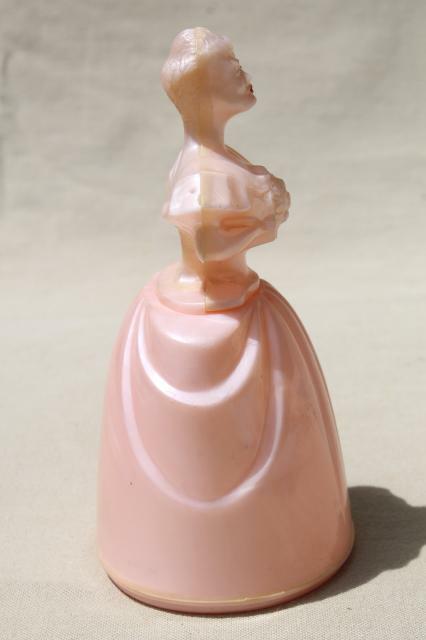 The paint is worn, and she's a little yellowed at the mold lines.